I just finished a book called “The Art of Sleeping Alone” by Sophie Fontanel. It has been translated from French and I can just sense a lot was lost in that process. Hidden there is a chic and stylish single woman but quite often throughout the book she does not negotiate the important boundary between haughtiness and anger. There is a significant difference in tone. I was interested in it for two reasons: I sleep alone and her first run of the novel sold 150,000 in like three days in France. I’ve been single now since January, 2012. And yes, you’re reading the subtext correct there. After the first few months of scissor-pain after the breakup, I began to feel something happening. It felt like when you come in out of a very bad storm and begin to unwrap your scarf, the rings releasing from your neck, the placing of your coat over a hook while simultaneously kicking off boots, letting your bag slump to the floor and finally sit down. The warmth settles deep into a long sigh, your hair sits happily limp, unkempt, real against your ruddy cheeks. Why had this never happened before? Why hadn’t I gone inside? Why had I kept looking, furtively outside, running down the street calling out to someone else when all along my home waited for me, unknown to my own searching self? In her book, Sophie Fontanel takes an often calculating, critical view of couples and distances herself so far from them that it tastes a little bitter at times. I don’t feel that way at all. I see them as they walk past me arm in arm, hand in hand, but barely, as though they are the same as the cashier or child walking by or a tree to be honest. It’s wonderful. I am completely content being alone and having all of my life for myself to consume now. Gloria Steinem once said that we eventually grow up to become the men we wanted to marry. I’m not sure my image of a husband was ever that healthy but I do know when I decided to marry myself last year in Paris it felt like the right thing to do. Buy a ring, make a commitment to my life, and get on with it. Recently, a girlfriend of mine, who is also single, didn’t want to go to visit a certain town that I also wasn’t too hip to visit. We both had the same reason: old boyfriend memories. I said, then that is exactly where we’ll go. It is ours! We will eat, drink, dance, and celebrate. La vie est courte! There’s a certain chicness that comes with being totally confident and comfortable in one’s skin and ironically, that is what I found missing in Sophie Fontanel’s new novel. I thought she would have had more Parisian chic between the sheets. A year ago I was getting ready to go to Paris by myself. I had a broken heart. I was cupping my hands around it like it was the top of a newborn’s head. I was praying I could protect it long enough for it to grow back together. I wanted to escape on a plane, far, far away from the dreams I had been certain were plans waiting to be realized. Part of me was also hoping the person I loved, who lived in Germany, would show up at my hotel room and hold me in his arms. But our hearts never really grow back to what they were before they were broken. They heal, but the broken bits are in there, like shards of glass, still fragile, still shatterable, but our skin has thickened and wizened and regenerated over top. It was a long road to May of this year. It had a lot of forks. It took me down a lot of valleys, chasms, and then an abyss. I tried to light hope but it was a thin flame without much heat. And yet, somehow, here is May, in all its glorious flirtation and I am alive. I could regret things that happened or, I could be delighted I have a chance to live the life I want to live, on my own terms. Desire has a funny way of bringing you face to face with choice. In the end, happiness isn’t in your heart’s desire but in the choice you made when you found it. 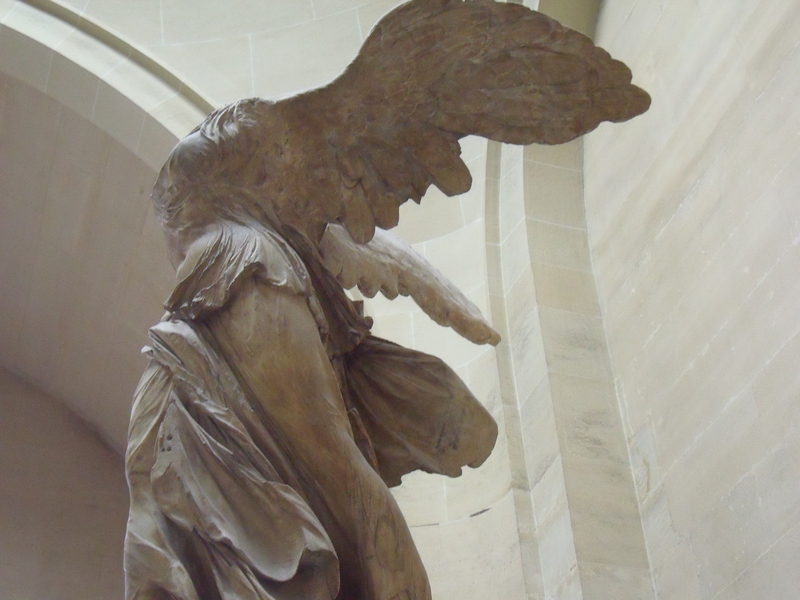 Winged Victory of Samothrace, taken at the Louvre, Paris, May 2012. By moi of course. This is the next draft excerpt from the chapter on France from the Mrs. Everett story. To read the full story, keep an eye on the main story page, I should have it done by the weekend! Just too busy with ‘real-life’ these days, sorry for the delay in my Mrs. Everett saga for those of you following along on her travel odyssey. But you can follow her on Twitter or be her friend on Facebook between chapters if you want to see what she is up to! She’s at the Hotel Eza right now, absolutely stunning! Her taxi turned right on Rue de Verneuil and lurched half a block and stopped abruptly. Since her luggage had been lost, she simply paid the driver, and stepped out onto her first Parisian street in over 16 years. An unnatural feeling of joy filled her feet, then her chest and she had the urge to jump or skip or clap, perhaps even all at once. This was her third country since November yet it was Paris that made her feel her liberty as a solo traveler. The last time she’d been here she’d been a wife concerned only with the feelings and happiness of her then husband Edward. Or rather unhappiness as it had been then. “Bonjour Mademoiselle Everett!” the concierge warmly greeted her, stepping out from behind a petite but elegant desk to attend to her non-existent luggage. She explained that the airlines were going to send her luggage along once it was found but that for now she was just going to bed. His eyebrows shot up in surprise. “Oh, I think…” She let her voice trail off as she watched him open a small glass cupboard and take out a demure half bottle of white wine. She wanted to say no but then remembered Edward wasn’t upstairs. There was no one to frown dourly at her from across the room. “Oh, well, perhaps, a wee glass would help after traveling” she cheerily offered him as she accepted the bottle and started towards the tiny elevator. It seemed everything was made for a small person including the tiny handles but then the hotel was 300 years old. Maybe they weren’t as tall as her back then. She noticed the man had pressed the button for her and he explained they were renovating but had put her in the top floor with a lovely view. “Merci!” she called behind her as she slid into the miniature elevator and pulled the door shut. The walls of the elevator had a kind of carpet or upholstery on them and there was barely room to turn around. Edward would hate this place. She already loved it. It was 4 am Paris time. She opened her fabulously tall window and looked down the street. As far as her eyes could see, Haussmann style roofs, fairytale grays and blues and flourishes of architectural details from an era where a woman like her would have been out on the street and not in a beautiful suite in one of the nicest areas of the Paris. She kicked off her shoes, shrugged out of her dress and slowly crawled from the bottom of the bed to the top. She hugged the downy pillow and giggled into it. After a harrowing start to the new year, she was at long last with one of her greatest loves. She lay open as the flowers that tumbled down the walls, insouciant and haughty in the infinite knowing of sun and bucolic perfection. Here she was a breath of diving, the joy of having left yet not yet arrived, mid-air with the taste of sweet macaroons from Paris in her mouth, only an afternoon of kisses scribbled as her one ‘to-do’. In this place, no one could falter for there was nothing to fail at. She would love them no matter. Adoration billowed like tufts of cumuli, and love poems were like opiates she gave for afternoon tea. She was as pliant as a doting grandmother but just wicked enough to recognize the nuances of their desire. She only wanted a moment. It was a kind of craving she was aware of but sang over top, ditties and show tunes from the war, drowning out any sounds at all of the outside world. In her mind she watched her imagination sedulously; she was in love with love. 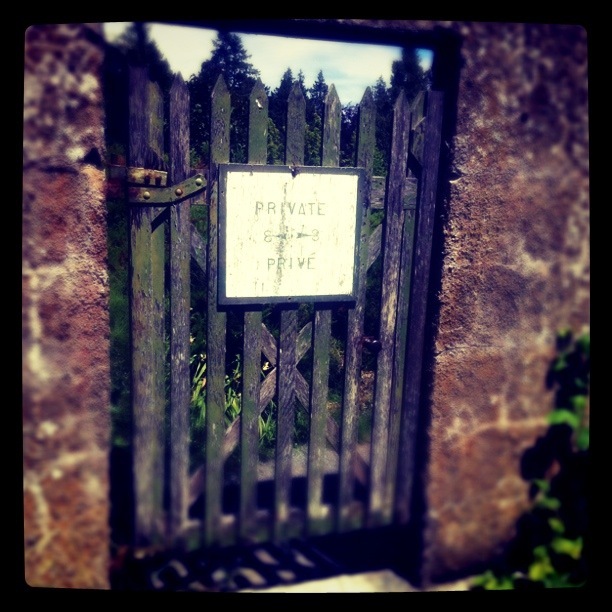 One day a gentlemen came to the small wooden door at the rear of the garden, below the Magnolia tree. He was very neat and trim, with a navy suit and gray tie with tiny squares within which she saw a spark of orange. He wasn’t entirely without colour then, she thought. His face was expressionless, but his eyes were dark and full of information that he held back, asking instead, could we sit down? Since she loved everyone, and everyone loved her, she smiled, and gave a small laugh, as if to say, don’t be ridiculous, of course we shall sit down! She glided over to a perfect bench, below hanging honeysuckle that was just now coming into bloom. She leaned towards it, inhaling. When she opened her eyes, he was staring very seriously at her. Something in her felt suddenly different. A painful tightening in her chest she did not recognize. What was wrong? “I have some news I have to tell you. ” His eyes were like bullets, black and determined to hit their mark. “I know this will come as a shock. It is not my favourite job, but one, nonetheless I am paid for so there it is, the real reason I am here.” His breath smelled faintly of cloves and she wondered if she kissed him could she make him stop? She leaned into him but he took her by the shoulders, his hard purposeful fingers digging into her soft skin. She cried out but he did not waver, staring calmly, purposefully, into her face, searching for a moment to tell her. She felt then an upside down sensation, like when you are at the very top of the swing and your head is back and then you snap it forward suddenly and look into the sky. “You are not real. Now get out of my garden!” Her voice shook, not used to being raised. But he held on and kept at her, hurtling his bullets, shooting her over and over with those dark, hard, sniper eyes until she went limp and he let go of her shoulders. “Now. You will have to grow a hide. I can help. Do you have birds?” he asked, more gently now, and she looked up, hopeful. “…cut off every last bud, you will need to in order to survive. Listen carefully to me!” he bellowed and snatched her wrist like a handcuff. She felt a hot, sick feeling come up through her eyes, pour down her cheeks, and slip down past her jaw as she stared into his face. It was like stone his face. It couldn’t be changed. It couldn’t be loved. “Don’t you see? Your home has left you.” His voice had lowered and he looked down then, and for a moment, she thought he would let her go, but no, his eyes met hers and he whispered, so quietly she nearly missed it, begin now. Then he stood and left, as abruptly as he’d entered. When he was gone, she saw that the Magnolia tree had cast a shadow she’d never noticed before. She couldn’t bear it. He was right. Something was happening. And so she prepared. She diligently began her hide. It was dark when she was done, standing in a cage of thorns below a violet sky, the edge of night no longer a warm blanket to her but a harbinger of danger, of something more real that she did not yet know, had never known. Against this new world, she was glad to have this hide, happy for its thorny protection and suddenly she smiled for within it she could still taste the sweet macaroons from Paris, deliciously melting on her tongue. She went to the door and lifted the latch.What was outside? No matter. She had a hide. She would find out. The bathroom on the main floor of the house I grew up in was not a place you lingered. Because outside the door, someone inevitably was waiting, tapping their foot, rapping impatiently on the door, rattling the knob, then threatening to come in. With up to 13 people eating, arguing, watching television, talking on the phone, fighting, and all manner of sneaky plans being hatched in the hallway, no peace could be had in that main floor bathroom. But clearly I had something inside me that fortified my small uniquely feminine soul –relative to the male population of my home–long enough to more than linger, but camp out in that bathroom. During Christmas dinner. Now, Christmas dinner at our house was an event that most people would assume was a mass gathering of some kind of tribe that has lost their hearing and had living tape worms inside them so no one noticed for quite a while that I was in the bathroom and not in fact returning to the dinner table. I suppose someone finally succumbed to the cherry fizz pop and found they couldn’t get me out of there. I remember people calling to me through the door. I also remember someone cutting the glass out of the top of the door and coming through. Clearly, I had boundaries that weren’t understood by others in my tribe. Undeterred by my rescue and subsequent punishment, I continued to lock the door of the bathroom so that I could, without admonishment from a brother about ‘snooping’, go to the tiny little wooden cupboard where on two tiny little squares of shelf lived my mother’s entire beauty regime: 1 bottle of Chanel No. 5. 1 bottle of Oil of Olay. This was the one space where male ended, however briefly, and female emerged in a 4 inch square of heaven. I would cradle that Chanel bottle in my hands, rolling it over and over, reading the tiny print on the back, Paris, Paris, Paris, this came from Paris! And the elegant, stark font in black, so simple, so perfect, so otherworldly. Bang, bang, bang on the door. I jump out of my skin. How long had I been in there? When kicked out the bathroom I would head right across the hall to my mom’s closet where there were two little drawers inside the closet at the very top full of jewelry and scarves. Most of them I realized were appropriate for the CWA–Catholic Women’s League–but there was one item I knew for sure made me sing ‘One of these things is not like the other’. It was a scarf bigger than me. I could wrap it around me sarong-like and imagine myself in a limousine nodding ever so slightly to the driver to go. The borders were a rich red and on the inside was the most fairytale collection of autumn leaves and acorns twisted together to create a vision of an Austrian fall festival. In the corner, in curling, graceful letters read: Christian Dior. I made up a story that my father was given the scarf in Paris during the war and when he met my mother at a dance gave it to her as he had fallen in love the moment she handed him her dance card. As I grew up, I sometimes forgot this was not remotely how the story went (my father was shot down in Italy, nowhere near Paris, perfume, or designers). When I was an adult I took the scarf to a dry cleaner and he gave it back to me in shredded tatters. I stood and cried. Of course he wouldn’t know about the shelf, or the closet, or the dream world that I lived in that had no resemblance to the actual world I inhabited. How could he know that he’d destroyed my talisman? While some may say fashion is superficial, I suspect they’re also people who don’t like theatre or opera or great art. 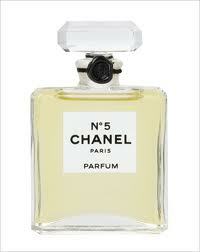 For me, an enduring comfort in my life is in knowing Chanel No. 5 will never go out of style and that my mother, with her 9 sons, and sensible church shoes, clearly knew this as well.